Northern hemisphere rugby stops for no one as the JP Morgan Asset Management Premiership Rugby Sevens Series continues into its second year. Last year’s winners Saracens are looking to defend their title as all 12 AVIVA Premiership clubs will battle it out to reach the finals at the Twickenham Stoop on 5 August. 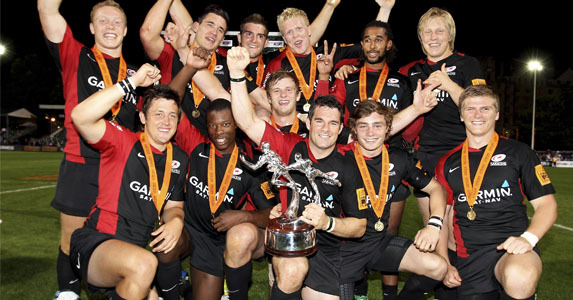 The profile of sevens is increasing worldwide now it will be reintroduced to the Olympics at the 2016 Games in Rio, so the sides will be looking to attract new fans to the sport. The tournament will be a great place to see the clubs new signings, giving them a real chance to shine. After the clubs are split into three groups for the tournament, the winner and runner-up of each regional event go through to the final. There will be six games played each evening, with each match consisting of two seven-minute halves with a two-minute break, ensuring a high-energy and high-scoring game. Events kick off on Fridays at 7.30pm. Watch live from 7.15pm on ESPN.